It can come as a shock when you are diagnosed with a critical illness. It takes a serious toll on your physical, emotional and financial health. We can help you mitigate the economic impact with our critical illness plans. 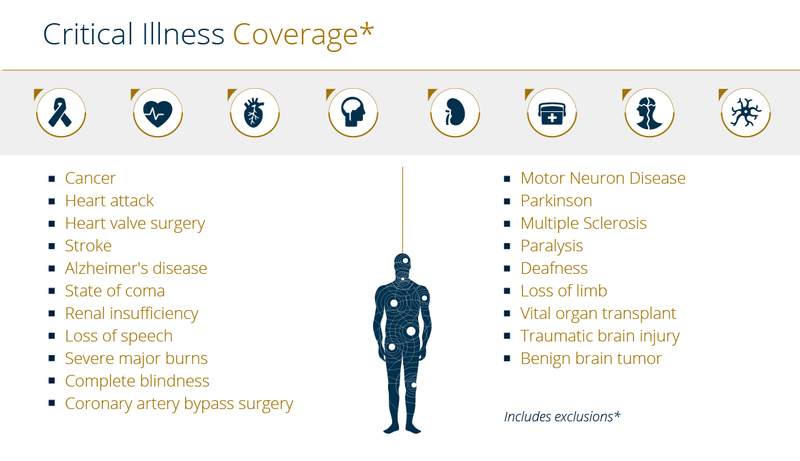 Coverage amounts range from $10,000 to $250,000 and each plan provides a lump-sum benefit upon diagnosis. This means you can worry less about your finances and more about making a full recovery. To find out more about these and more accident solutions Pan-American Life offers, click here to contact the Pan-American Life office nearest to you.